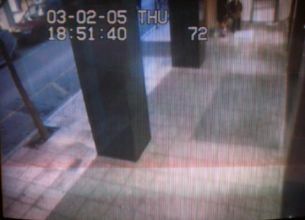 Touch me is an interactive video, a looping game with the viewers which uses the surveillance cameras of a building. It proposes a radical use of the monitors that recant their typical function. 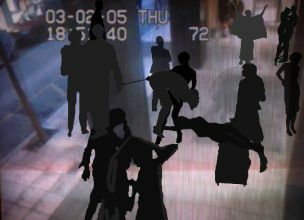 The space under surveillance is transformed into the background of a parallel action during which the events that are recorded by the camera are projected real time simultaneously with the newly developed stories whose speed is defined by the viewer-user.